Contram CB-1 is a low alkaline concentrated metalworking fluid system cleaner designed for use during the process of fluid disposal and re-charge. Forming Oil consists predominantly of C11-C12 paraffins and naphthenes. Deep hydrogenation gives this solvent a very low aromatic content, negligible amount of reactive impurities, and a low, sweet odour. 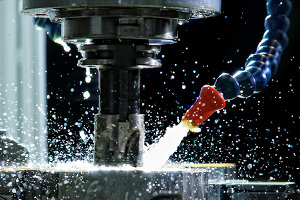 A general purpose, mild EP soluble cutting oil for general turning, milling and drilling duties. Soluble Cutting Oil EP is a heavy duty, high EP, soluble oil which forms a highly stable, semi translucent emulsion when mixed with water. Anglomoil Grindol 12 is a low misting, neat cutting oil made from the latest high performance chemistry and high viscosity index unconventional base oils (UCBO). Straight Cutting Oil is a high performance, medium duty, non-staining neat oil based on solvent refined mineral oils and specialised functional chemistry. Straight Cutting Oil HD is a high performance, heavy duty, chlorine free non-staining neat oil based on solvent refined mineral oils and specialised functional chemistry. Semi-Synthetic EP is a heavy duty, high EP, Semi-Synthetic Fluid which forms a highly stable, clear micro emulsion when mixed with water. Anglomoil Slideway Oil series are high performance slideway lubricants based on solvent refined mineral oils. Anglomoil Tube Drawing Fluid is a high viscosity high performance cold metal forming lubricant designed to be used neat.